This is my AWeber vs GetResponse Review 2018 updates; here I will compare two of the best email marketing services with auto-responder tool that I have tried myself. I will review the price plans, usability and templates as well as other features, including A/B testing. 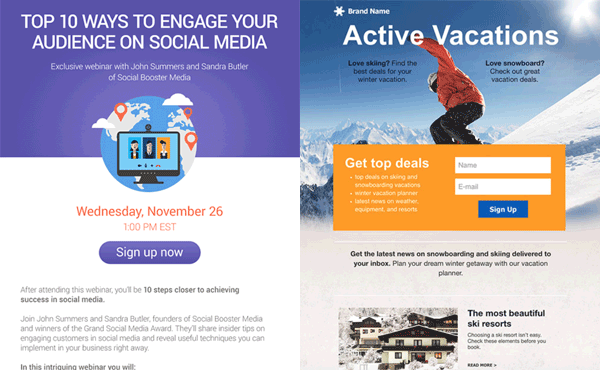 So AWeber or GetResponse, which email marketing tool provides a better value? Better chance in retaining your existing subscribers and ultimately, increasing revenues? Firstly please note, GetResponse not only offers email marketing tools but also offers other tools such as a landing page builder and webinar booking/announcement tool. Therefore there are four different sets of pricing structure - Email, Pro, Max and Enterprise. "Email" option starting from $15 per month is the most comparable to AWeber's service, so we'll look at that. Webinar marketing solution is only available with other 3 options, not with the Email option. GetResponse's price plan is $4 per month lower than AWeber. GetResponse offers better starter plan, i.e. 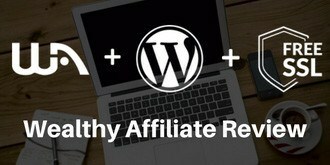 $15 per month for the first 1,000 leads. For example if you have 501 subscribers, with AWeber you'll have to pay $29 per month, whilst $15 with GetResponse. If you have more than 25,000 subscribers, you're likely to be better off with AWeber, as you're required to contact them to get a quote, meaning it's negotiable and they could offer you lower fee than GetResponse's ($250 up to 50,000 leads). GetResponse is cheaper than AWeber all the way up to 25,000 leads. But if you have >25,001 subscribers - assuming "Get a quote" means "negotiable", AWeber might offer you a competitive rate. Both AWeber and GetResponse offer 30 days (one month) free trial. No credit card is required to sign up with GetResponse, whereas Aweber require your card detail "so you don’t experience any interruption in your service if you decide to continue your subscription". What really means is Aweber will take your money after 30 days without warning you in advance. I received my first invoice with Nil value for the first month with AWeber, then received my second invoice for $19 retrospectively. Needless to say, you'll have to remember to decide whether to carry on with AWeber or not before the trial period expires. So this is trivial but the point goes to GetResponse on this one, I hope you agree! 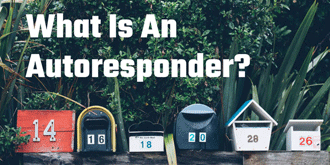 Autoresponder function is what we're paying the monthly service charge for. 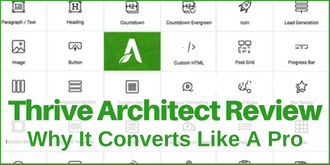 With the lowest price plan, both AWeber and GetResponse offer comprehensive autoresponder, web form creator and drag-and-drop email editor, mobile preview and integration with list builder apps. One "bonus" feature that GetResponse provides is the landing page builder. It's a free feature comes with it's basic ("Email") option, and there are just over 100 templates to choose from. How you use the page (general opt-in, thank you page, video page by embedding YouTube or Vimeo) is up to you. This is something AWeber does not offer, so it really is a bonus. By the way with GetResponse's other options (Pro, Max and Enterprise) starting from $49 per month, you can create unlimited number of landing pages, but just one page with this Email option. AWeber has 600+ email templates and GetResponse has 700+, so there are plenty to choose from. This may be my personal preference but I like AWeber's template designs better. In my opinion AWeber's are slightly slicker than GetResponse's. Social media icons and button design are pre-determined according to the template, not fully customisable. For example in the image above - the rectangle "Click Here" cannot be changed to oval shape, nor the button background colour. Which I think is adequate - why would you customise only to ruin the AWeber's beautiful design? In terms of stock images, AWeber has 6,000+ while GetResponse only has 1,000+. Both instantly accessible, drag & drop. 1,000+ seems plenty enough, but I personally find a lack of variation in GetResponse's stock photos. AWeber is the winner with email template design in my opinion. However when I look at the webform (signup form) design templates, it's surprisingly the other way round. The choice is limited with AWeber and the forms all look somewhat a little outdated. Whereas GetResponse's templates are colourful, pop, fun, and much more customisable. Meaning you can make your forms "less fun & pop" by deleting quirky icons or images and create your own, more subtle and professional looking form as you wish. Both allow you to add as many custom fields as you want, such as address lines, phone number, birth date, gender etc. The width is adjustable freely, up to 590px with AWeber, up to 940px with GetResponse. To summarise, AWeber is better for email templates, and GetResponse is better for form templates in my opinion. My initial reaction upon signing up was dramatically different between the two. Extremely easy to get on with GetResponse, whereas it took me a while to get used to before setting things up with AWeber. I was also slightly confused by the different terminology that AWeber uses. The autoresponder is called "Legacy Followup Series". If you want to send a standalone newsletter, it's called "Broadcasts", etc. Whereas GetResponse took me through step-by-step ("List Builder Wizard") right from the start. Also what I find is AWeber is not as responsive as GetResponse. For example when I choose a template, preview, and choose another template, the process is quite sluggish and, I'll have to actually "delete" the existing template before I can view the next template. However GetResponse is not perfect either - I have experienced a few hiccups while building an autoresponder template as well as a signup form. What I had just saved was still shown as a blank document, but if I actually clicked "edit" button, the saved document was there. At lease GetResponse has friendlier interface and definitely easier to navigate. I also find GetResponse report analysis more comprehensive. Of course, there are help and knowledge base functions fully available at both providers. But it was GetResponse that I found much easier to handle overall. 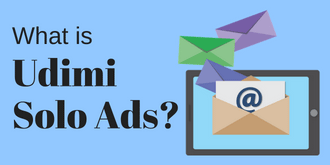 Signup forms such as SumoMe, Jotform, FormStack - AWeber and GetResponse are two of the best email marketing service providers around, so if an app is not listed, don't use the app! in my opinion. Both offer you to request an integration if any particular service you wish to use is not listed. If you use a website builder such as Wix, Squarespace, Blogger, Weebly - AWeber is for you. GetResponse seems to have a problem integrating with these builders. AWeber allows you to customise your dashboard, add or delete any of your favourite analysis reports such as daily/weekly/monthly subscriber growth rates, opens/clicks/sales chart over time. It enables you to track your subscribers' movements, to see who exactly is clicking on links in your email, for example. You can also view a quick analysis on your AWeber mobile app. GetResponse also enables you to view the open rate, click rate, bounce and unsubscribe rates, spam complaint (messages that are marked and registered by the receiver as spam) ratio, social media. 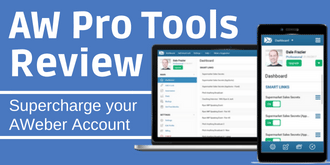 It also lets you set up to deliver custom reports to you via email. Both show the segmented analysis beautifully using graphs and tables, and each analysis laid out appropriately. I found GetResponse again easier to navigate, straightforward and more comprehensive as far as analysis reports are concerned. There is a difference between the two providers. 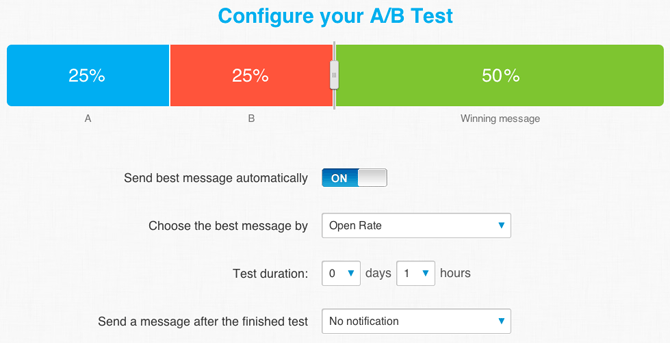 AWeber only split tests the signup forms, whereas GetResponse only A/B tests the emails. A/B testing your email messages is extremely useful in order to minimize the unsubscribing rate, which GetResponse has. AWeber on the other hand, not offering this feature is quite a let-down. Instead AWeber allows you to split test signup forms. 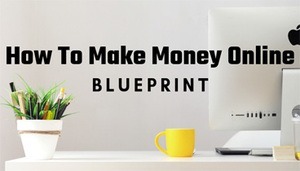 On paper it makes sense in order for you to gain more subscribers. But for two reasons; (a) as mentioned in #4 Template Designs above, none of the AWeber's forms have a particularly impressive design, and (b) split testing opt-in forms is really a listbuilder's job, with variation such as popup form, sticky form, the options which AWeber doesn't have. As far as A/B testing feature is concerned, GetResponse is the winner in my opinion. ...I'll explain it without going too much in detail. 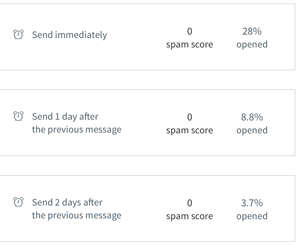 When a single opt-in option is chosen (where a user don't have to confirm their email address to become a subscriber), AWeber is proven to be the best one to deliver the autoresponder and broadcast safely to inbox. Whereas emails from others including GetResponse tend to land in the recipients' spam folder. 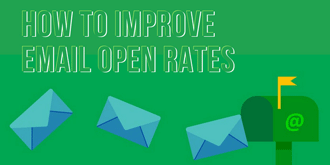 The issue is quite subjective and it's very hard to prove, but from my past three years of email marketing experience, I often see GetResponse's open rate 5+ times lower than that of AWeber's. Having said that, this is only the case with a single opt-in. Where a double opt-in is chosen, those who wish to subscribe your newsletter needs to whitelist your email address (i.e. confirm their subscription and also to confirm your email is "not spam"), your newsletter should be delivered safely to their inbox. After reviewing the two email marketing service providers over 10 x different aspects, it looks like GetResponse has more "thumbs-up" signs than AWeber. However can I please emphasise that AWeber offers no less than excellent service, especially for those who send out a simple weekly autoresponder email, it does its job well. The areas of improvement I'd like to expect from AWeber in the near future are particularly (a) new designs for opt-in form templates and (b) email split test feature.